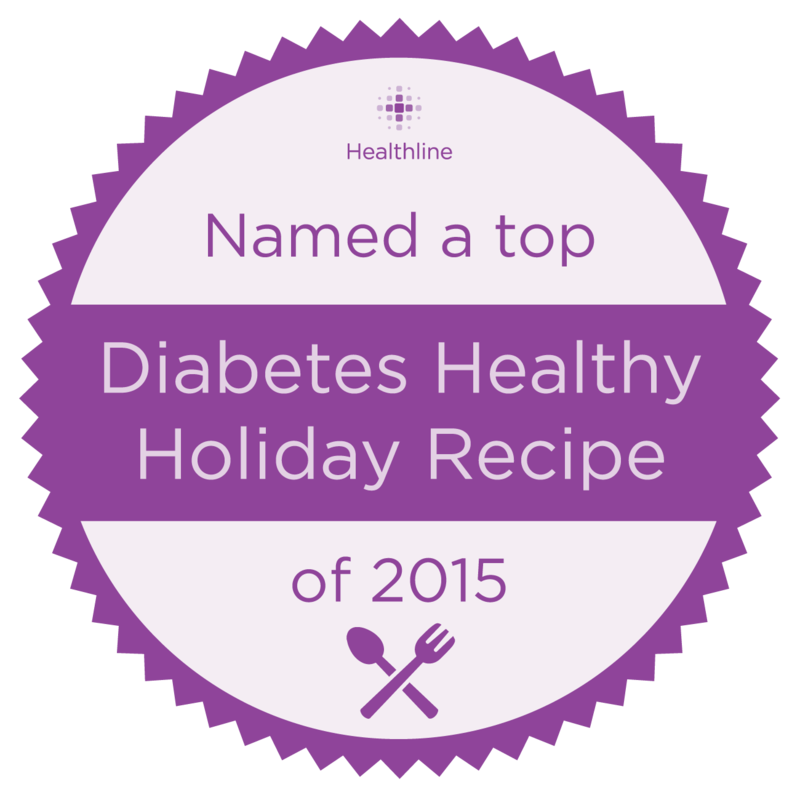 Named a top Diabetes Healthy Holiday Recipe 2015 by Healthline! Creamy and buttery, this low carb sweet potato mash with pecan topping has just 5 net carbs per serving.The candied pecan topping makes this easy recipe the perfect side dish for pork, turkey, or chicken. So pretty you can easily serve it at holiday parties. Pumpkin and cauliflower stand in for the higher carb sweet potatoes. The images and nutritional info have been updated from the original October 2013 publishing date. If you are in a hurry click here to go straight to the low carb sweet potato mash recipe. Low carb sweet potato recipe? Yep. You can do this. These “sweet potatoes” only have 5.3 net carbs per serving. Compare that to 17 net carbs in the real thing. All the flavor and a fraction of the carbs? Actually you could probably get the carbs lower if you need to. Just leave off the pecan topping. In case you haven’t looked at a calendar lately the holidays are fast approaching and with them all of those high carb foods we love. Well this year things can be different because this year you can stick to your low carb lifestyle without feeling like you have missed out on the good stuff. This simple dish is a good, Atkins-friendly substitute for sweet potatoes. One of the tricks to the flavor in this dish is caramelizing the xylitol. This works just like sugar — you’ll add two tablespoons of xylitol to a small pan and heat it, stirring once in awhile until the xylitol melts and turns golden. Do not let it burn! Watch it really carefully. Adjust the sweetness and spices to your own taste and, as always, use whole nutmeg and grate it yourself. The flavor is amazing. This side dish is quick and easy — you can have it in your mouth in less than 20 minutes. Yes, it has cauliflower but you won’t be tasting it. You need it for the bulk and texture. The pumpkin gives natural sweetness and color. Hey, have I steered you wrong yet? Try making this before next week because next week I am going to dress this dish up holiday style and use it to adapt my famous bourbon sweet potato pecan holiday casserole. You do not want to miss that! Here’s that low carb sweet potato mash recipe! Pumpkin and cauliflower stand in for the sweet potatoes in this easy dish. Sweet, rich, and buttery these "sweet potatoes" will stand in nicely for the higher carb version. The candied pecans add texture and crunch. 5.3 net carbs per serving. Cook the cauliflower in a little water in a covered pan until it is very soft. Add the cauliflower, pumpkin, butter, cream, salt, and spices to a food processor. Meanwhile add the xylitol to a heavy pan. Melt it over medium heat, stirring once in awhile until it is a liquid. Watching it carefully, and stirring occasionally, continue to heat the xylitol until it turns golden brown. Set aside for a minute or two to cool slightly. Pulse the ingredients in the food processor until mushy. If it is too watery you can put the mixture back into the pan and cook off some of the liquid. Put in bowl and set aside. Melt the xylitol in a small saucepan until it is liquid. Stir to coat the pecans. Add the butter and stir until well blended. Marye, this sounds wonderful! You are right – the holidays sure are fast approaching! My mom is a diabetic and I am always looking for healthier lower carb dishes and this is perfect! For future reference – yes you can. you can use whatever sweetener you prefer but you may need to change the amounts you add. I’m excited about this. I was going to have to cook 2 different sweet potato dishes and 2 different mashes; one mashed potatoes and the other mashed califlour. My kids are traditional and don’t want me to change any recipes because I’m on a keto diet. So this will kill two birds with one stone for myself. Sounds like my kids will love this too if they give it a chance. For a sweetener I think I’ll use Lakanto brown sugar and I’m going to try carmelizing Lakanto maple syrup.. Maybe the syrup will thicken a bit? Michelle, I haven’t used that so I don’t know. Come back and let us know how it works!